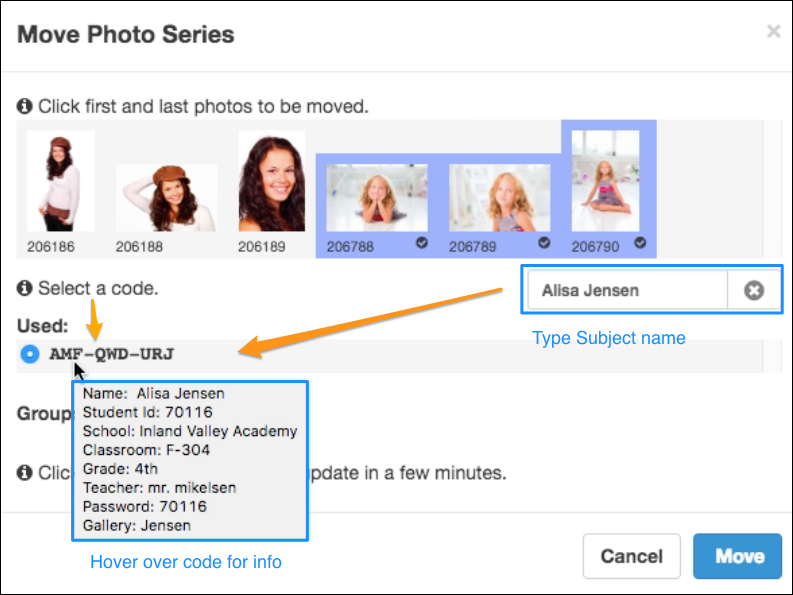 Use this tool to move a photo series when a card is forgotten (or wrong one is used) but the Subject or Group exist in the Project database. The "Move Photo Series" will move photos into an existing Subject gallery. If you used a camera card but the card was not read properly — don't use this tool. Use the "Fix Mis-Scan" tool. When you forget to shoot a card between subjects, the affected photo series will be included in the gallery of the subject that came before them. 1. 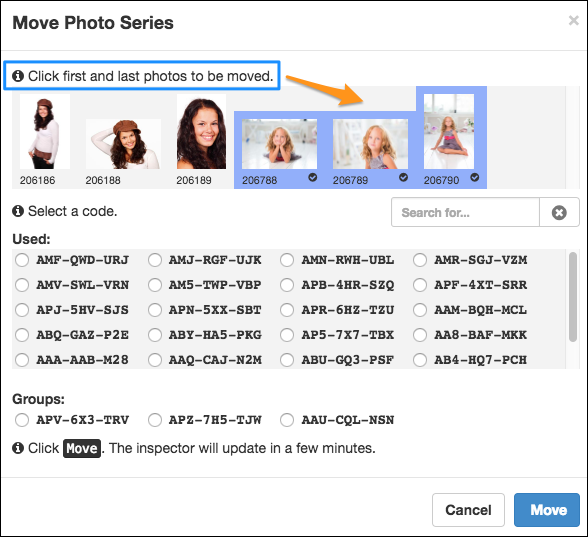 Click the "Move Photo Series" button as shown below. 2. Click the first and last photo to be moved. If you have more than one series of photos to be moved in a gallery, start with the last series of photos and work your way backwards. Snapizzi's all-inclusive search feature makes it easy to locate Subject galleries. 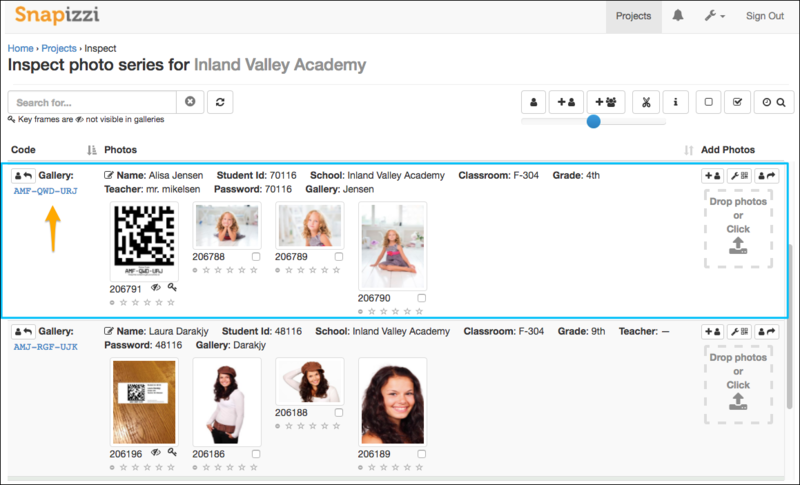 In addition to locating Subjects by code, you are able to search your Project using any identifying information contained in the CSV file you uploaded (Name, Teacher, Student ID, class, etc.). You can also quickly locate cards blank and group cards by simply typing "blank" and "group" in the search box. 4. You're done! The Subject photos are now in the correct gallery!